Looking for a good book to read? 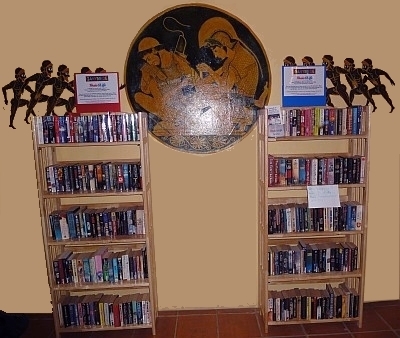 Now you can find that book in Jomtien Complex and help out a worthy charity! Ganymede Bar & Residence has teamed up with Thais4Life and now offers a selection from the 40.000+ titles from the best bookshop in Pattaya. You can purchase any of their books for just 80 baht each. Once finished, you can return it and exchange it for another book for only 40 baht. The main Thais4Life Bookshop is located in Soi Yensabai Condotel off Soi VC. By supporting Thais4Life you will be helping Thais with medical and special needs, including those in orphanage institutions. Your donations of unwanted books are always greatly appreciated.